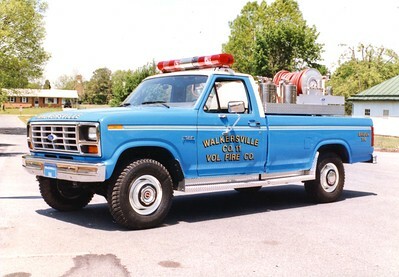 Walkersville Fire Company - Frederick County, Station 11. 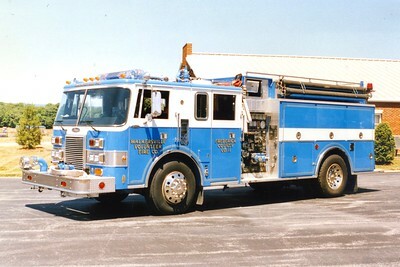 Engine 111 is a 1994 Pierce Lance, 1250/1000, sn- E8527. 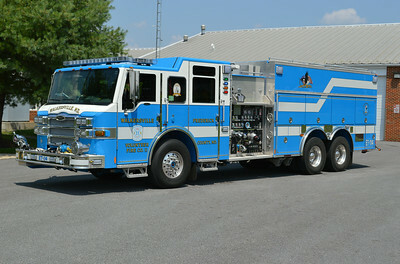 Engine Tanker 114 is a 2009 Pierce Velocity, 1250/2000, sn- 21938. 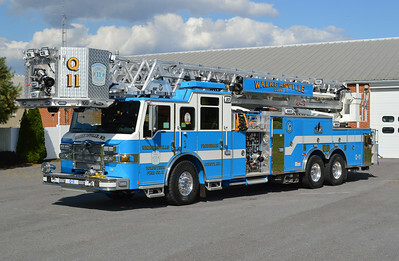 This beautiful 2014 Pierce Velocity, 1500/500, 100', sn- 27510 operates as Quint 11. 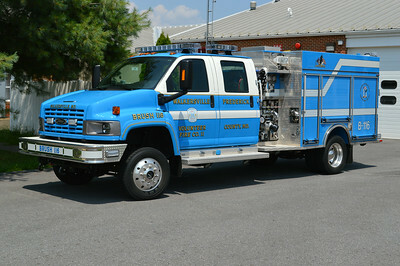 Last in the nice Walkersville blue is Brush 116, a larger 2009 GMC 5500/Pierce, 1000/250, sn- 21933. 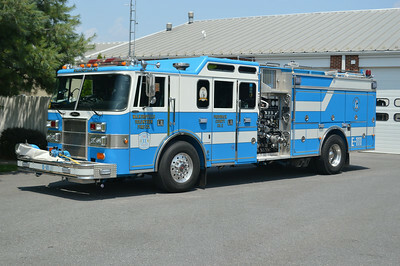 Former Engine-Tanker 114, a 1988 Pierce Lance, 1000/1500, sn- E4068. Sold to DuBois, Pennsylvania, in 2009. 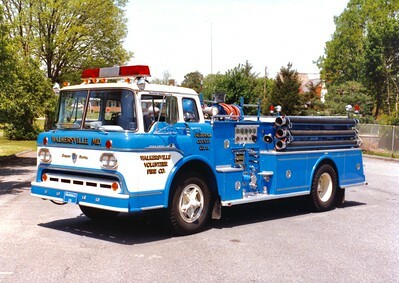 Former Engine 112 from Walkersville, a nice 1978 Mack CF, 1000/750, sn- CF686F10. 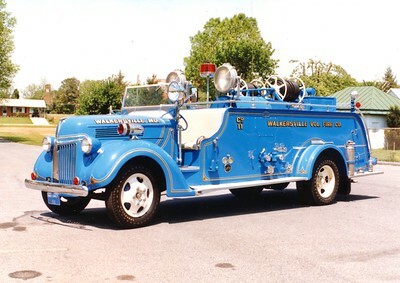 Sold to Beaver Township, Pennsylvania (Columbia County), in 2001. 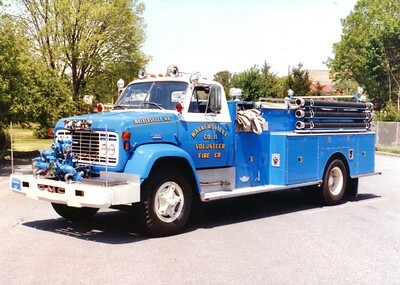 Former Engine 111, a 1958 Ford C850/Pirsch, 750/600, sn- PF-68. Replaced in 1995. 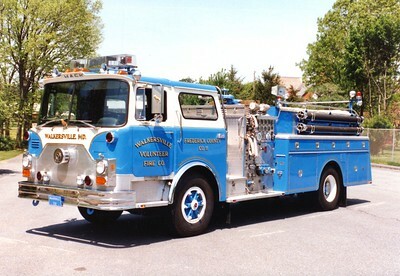 Former Engine 114, a 1970 GMC/American, 750/1000. Sold in 1988 following an accident. Walkersville's antique 1940 Ford/Howe, 350/200. Rehabbed in 1976. 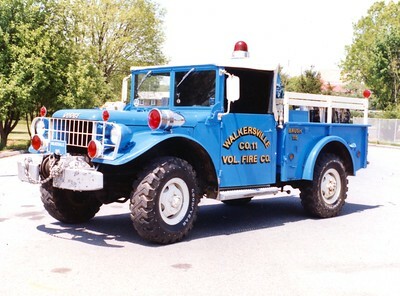 Former Brush 115, a 1952 Dodge Powerwagon, 125/250. 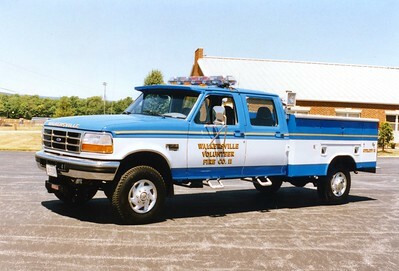 Former Brush 116, a 1984 Ford F-250, 350/200. Utility 11, a 1996 Ford F-350/Reading.